Each year, you probably have people on your list who are hard to shop for. Instead of struggling, we offer you four tips for delighting those you love. Share the fun: Whether it’s a painting class or winery tour, hot air balloon ride or other fun adventure, spending time with a friend is a gift in itself. Think about what a loved one has been wanting to try and get a certificate to do that adventure together. The anticipation of the experience is an added bonus—and the memories you make together will last a lifetime. Encourage self-care: Some busy people end up with self-care at the bottom of their to-do list. You could encourage them with goodies that soothe (like lavender and vanilla) or an inspiration journal to write down their thoughts and dreams.Giving a nourishing gift reminds them their well-being matters most of all. Support a cause: When a loved one already has everything they need, give some thought to issues they care about. If they volunteer for an organization, you could make a donation in their name. If they love giraffes, for example, you could contribute to protecting them in your friend’s name. Not only does this support the charity, it lets your loved one know you notice and appreciate their commitment to important causes. Light them up: Think back to a recent discussion in which a loved one was more animated than usual. Perhaps they were excited about a new knitting pattern, or improving their long-distance putt, or a new trick their pet learned. Their excitement gives you clues. From these examples, you might give a yarn shop gift card,golfing lessons, or a photo frame for their pet. The best gifts reflect what delights your loved one. list easier and more fun. 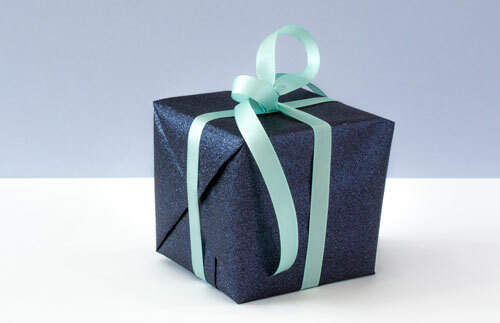 In the end, remember that there’s no such thing as the perfect gift—only thoughtful gestures from the heart. 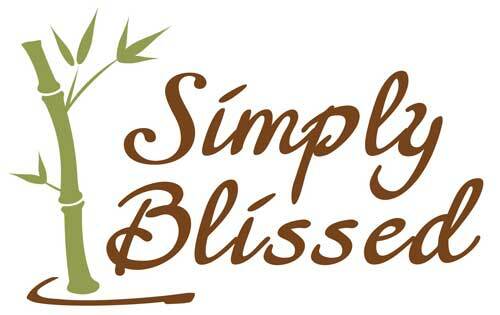 All of us at Simply Blissed wish you a bright season of hope and the happiest new year. If you need goodies to fill stockings, we have all kinds of specials for the holiday season. Here are a few of our favorite blissful goodies. Give the very same neck warmers you enjoy when you visit our spa! Filled with physician-formulated herbs and grains, Kōziwraps provide natural hot and cold aromatherapy. These herbal wraps provide comfort, relaxation, balance (and joy!). This luxurious duo is designed to revitalize and renew dry, winter lips. The Citrus Enzyme Lip Exfoliator is packed full of antioxidant-rich ingredients that naturally slough off dead skin cells. Citrus Lip Balm, which features a blend of peptides and vitamin-rich ingredients infuses moisture (without petroleum) for long-lasting softness. Know someone who needs to hydrate? Our line of delicious, antioxidant-rich liquid extracts make eight glasses a day easy. Adda few drops of all-natural flavors like coconut, cranberry-elderberry, or a night tea to hot, cold, or sparkling water for wellness and beauty from within. Let your loved ones choose their bliss. From massages to facials, we offer a wide range of spa services to nourish body and soul. A gift card makes it easy to pamper those you care about by giving them the gift of choice. Stop by our spa to pick up any of the stocking stuffers above. We look forward to seeing you!